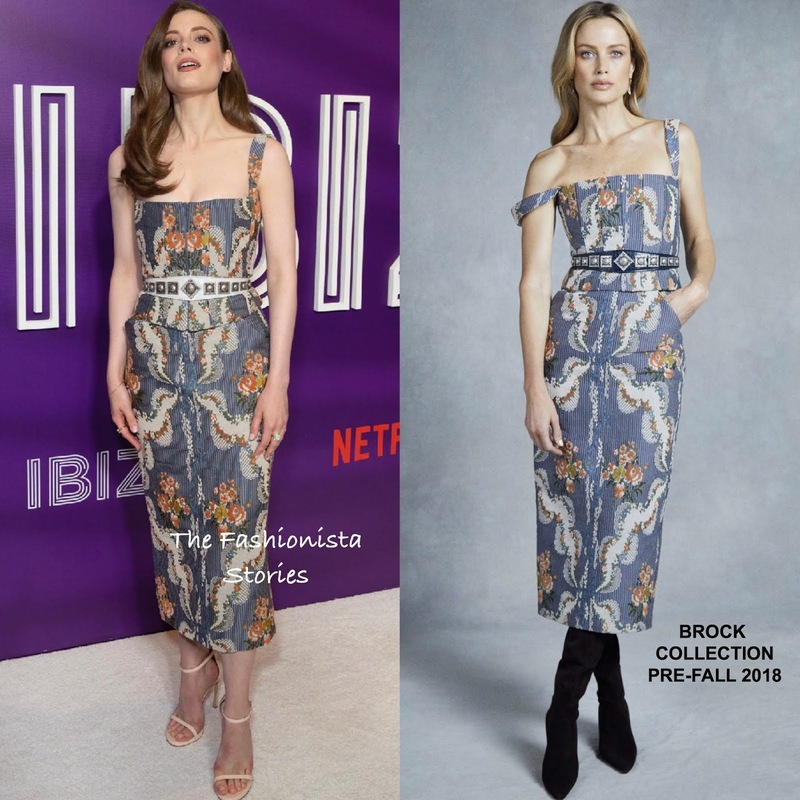 Gillian Jacobs made her way back to the carpet yesterday evening(May 21st) for the premiere of Netflix 'Ibiza' at the AMC Loews Lincoln Square 13 in New York City. Gillian looked simply chic in the BROCK COLLECTION PRE-FALL 2018 'Tayten' floral corded jacquard bustier top which was adorned with a white & silver studded belt and the matching 'Snow' high-rise, pencil skirt. She offset her printed ensemble perfectly with STUART WEITZMAN 'Nudist' sandals in a bone color. There is nothing to dislike here because she nailed this effortlessly. Side parted tresses and pink lips finished up her look.